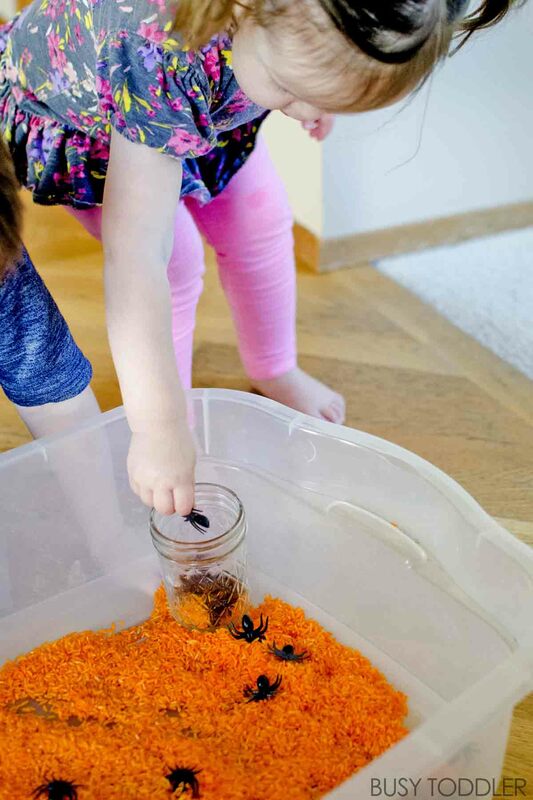 Make a quick Halloween sensory bin for toddlers! 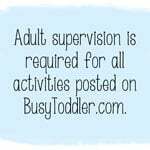 Sometimes, the simplest ideas and activities are the biggest hit. 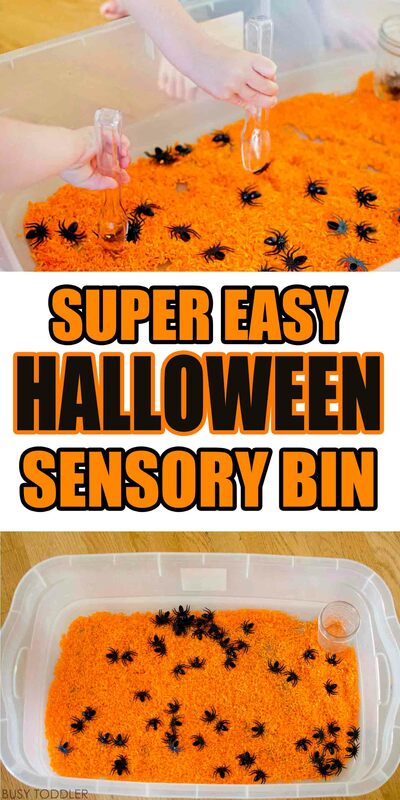 Case and point: this easy Halloween sensory bin which has been a total slam dunk / nailed it type activity at my house. 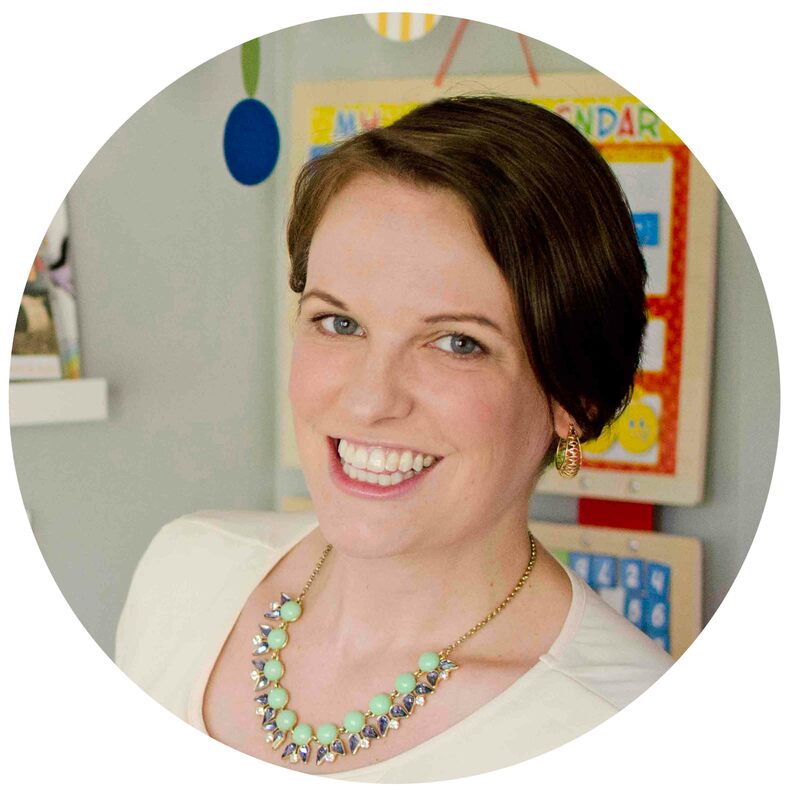 Sensory bins are great for toddlers but should always be closely supervised. 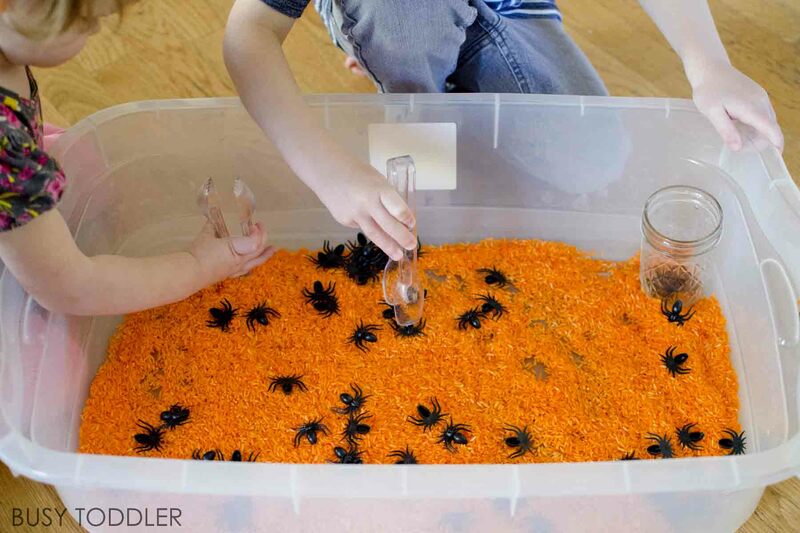 Sensory bins give toddlers a chance to grow and learn in a safe environment. Step one is to dye the rice orange. This is easy, this takes no more than 1 minute to do. To dye rice, dump white rice in a plastic bag. Add 1 Tablespoon of vinegar for every 1 cup of rice. I used 5 cups of rice for this bin so 5 Tablespoons of vinegar. Add in the desired about of food coloring and shake, shake, shake! Pour the rice out onto a cookie sheet and let it dry at least 3 hours. My toddlers and I dyed this rice before breakfast and played with the bin just after lunch. Easy peasy. The food dye sticks to the rice, not to toddler hands. Once the orange rice was dry, I poured it into a storage container. 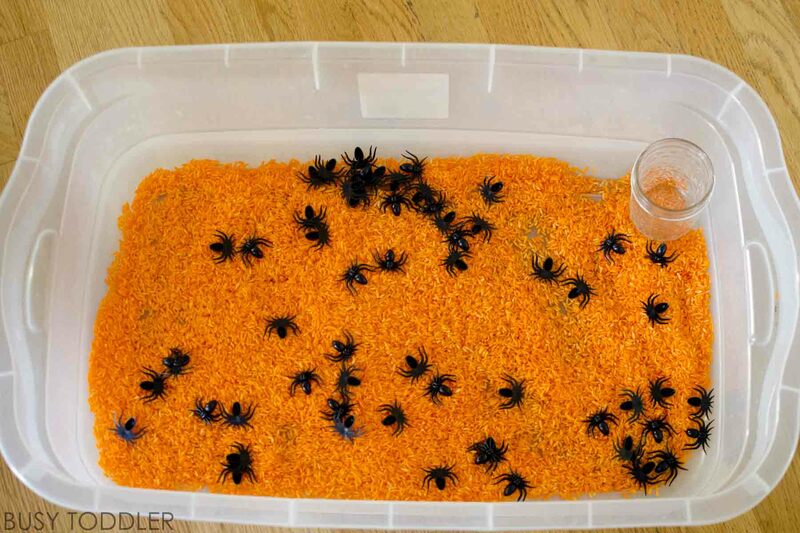 I added in a few handfuls of black spiders for some Halloween fun. I usually make sensory bins open ended play, but I wanted to add a little direction to this bin. To start this bin off, I gave my 3 year old a set of plastic tongs (affiliate link) and an empty jar. 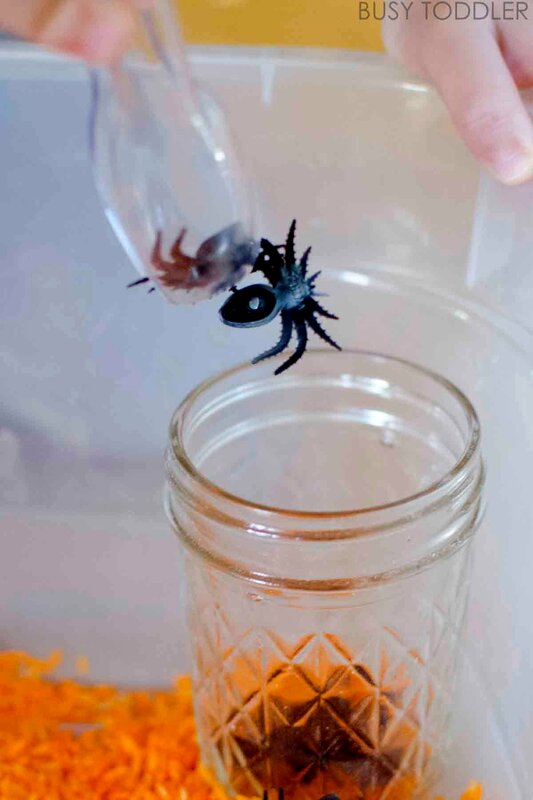 I encouraged him to try and capture the spiders and put them in the jar. He loved this and it was tricky tricky! My 20 month old isn’t quite ready to use tongs so I had her use her fingers (pincer grasp practice) to grab the spiders and carry them to the cup. One sensory bin built for two very different skill levels! Once my toddlers were “done” with the fine motor skills portion, I opened this up to free play. 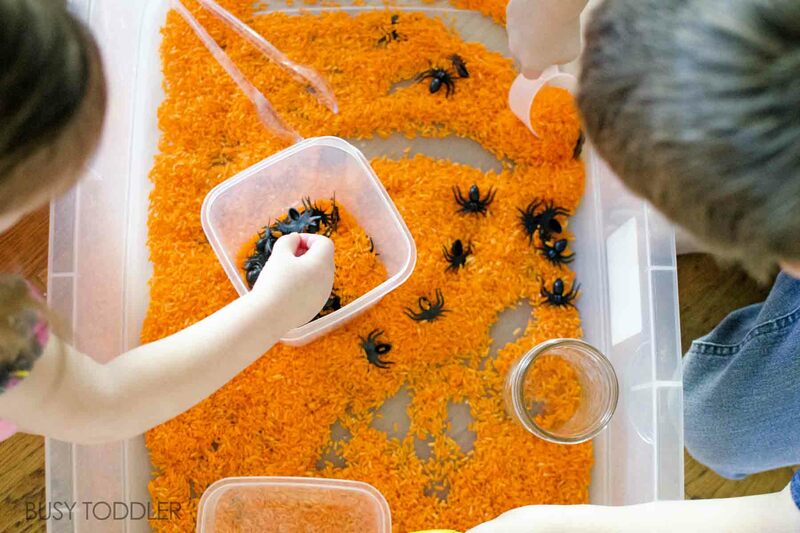 My toddlers asked for funnels, scoops, and more cups to collect spiders and rice. 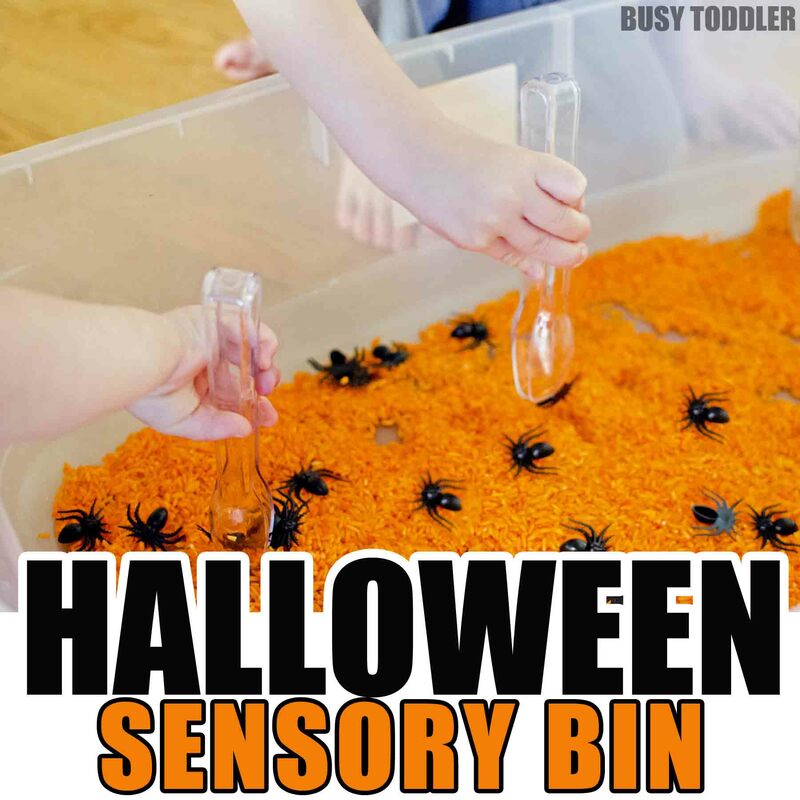 My toddlers are loving this Halloween sensory bin and it’s been well over a week of constantly playing with it. Sometimes, the simplest bins are the best bins! When we are officially done with it, I’ll put the rice and spiders in a plastic bag and keep it for the rest of the Halloween season. 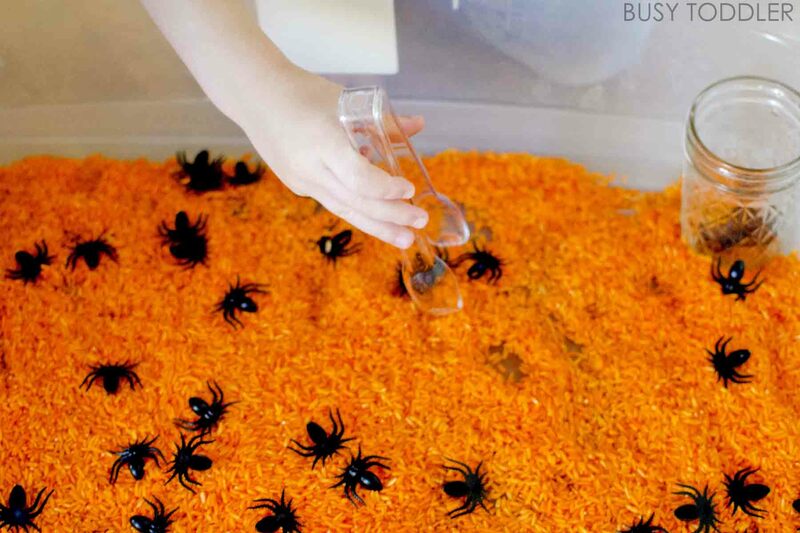 Think you’ll make this Halloween sensory bin for your toddler?